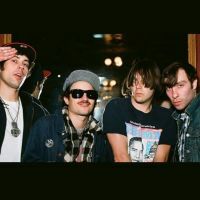 Black Lips in Montreal or Quebec City? Inform me about the next events for Black Lips. Enroll yourself to our priority waiting list for Black Lips to be alerted when new tickets are available. Filling this form doesn't engage you to any purchase. Black Lips is a group flower punk style. They have 9 albums to their credit including 2 live. This group with a particular sound is composing of 4 members. They are the Foufounes Électriques the 11 June 2015.